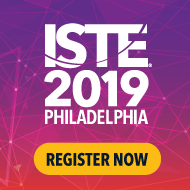 Can someone advice how they use ISTE standards to integrate coding for grades 1-10? and I mean using languages such visual basic or small basic not scratch and so? You might like to look at csunplugged.org. We use it as a way to teach coding without having to have internet access or hardware.Hope you find it useful. The DigitalTechnologiesHub.edu.au also has a range of useful progressions and ideas. Thanks, it’s really a great resource.